Imagine a voice in your mind that speaks the words that you are reading without any effort from you at all. That’s what reading will be like for you, once your brain learns to read better. Once your brain learns to read well, reading words will be as easy for you as listening to them. 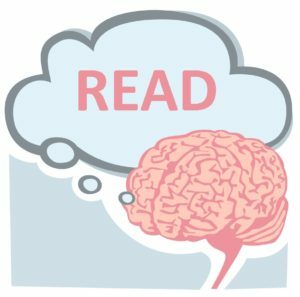 Once your brain learns to read well, you will be able to read anything you want to, easily. Once your brain learns to read well, you will be able to learn anything you want to learn. Doing well in school, work, and life, depends on being able to read. When you can read well, you will have many more opportunities. If learning to read has been difficult for you, it is not your fault. You didn’t do anything wrong. You are smart enough to learn to read. Probably, the difficulty you experience is because your brain learned to guess at words instead of working to recognize them! Many young brains learn to guess at words that are too confusing to recognize. Your brain probably just needs a different way to learn to read. That’s what you are learning now. If you will focus your mind on learning to read, this tool will help you! Just remember to never guess a word. Instead, always click on every word you don’t recognize. Just click on each word you don’t recognize and keep clicking on the word in the blue box until you do. If after the 1st click or two you recognize the word, just click anywhere outside the blue box and it will go away. Once you learn the 3 steps of using this tool to help you, reading will become much easier. 1– Click on every word you don’t recognize. 2– Try and read the word in the blue box. If you can’t, click it! 3– Repeat step 2 until you recognize the word. Now, slow down and try to read on your own. Be proud of yourself! Feel good about your progress! You are reading much better. Reading words will soon be as easy for you as listening to words. Everything about your future will be better as you learn to read better. LET’S REALLY FOCUS NOW! YOU CAN DO IT! c) your brain just didn’t like books. c) always click on the word you do not recognize.